Planning a nursery is one of the most fun and exciting preparations of having a baby. But let’s face it, it can expensive, and consequently, a source of controversy between husband and wife. Speaking as a first-time mother embarking on the task, it’s all about personal preference – certainly not the unborn’s or my husband’s! I’m not exactly playing by all the “expert” rules and suggestions or even being practical. As a pregnant woman, I’ve opted to rationalize – something most women, pregnant or not, do whenever they decorate. Of course, it’s not just about decorating. It is about creating a comfortable, and most importantly, safe environment for your little one. So whether you’re practical, shabby chic, traditional or overwhelmed, the following ABCs of nursery decorating will spark creativity and prompt you to think through the process. Decide on an affordable and comfortable figure, but take into account other line items such as clothes, diapers, food and equipment. Refer to different resources such as books, the Internet and friends. And consider overall spending: are you a bargain hunter? Resourceful at doing it yourself? Is your philosophy one of time equals money? Look at the prices of essentials, but consider not-so-essential items as well as time. After you have a number, add to it! Like anything, it usually costs more than you think. After my husband and I decided on a “comfortable” number, we had a rude awakening when estimates on a glider, ottoman and window treatment alone matched the budget. With time on my side, I prioritized and did what I do best: rationalize. It’s obvious a comfortable glider is more important than a fancy window treatment. The glider can be used for subsequent children or passed on which gives it long-term value. Plus, we all benefit, including the baby, who could care less what fabric adorns the window. Although the experts and your mother will remind you that baby just needs a Moses basket, food, diapers and love, I don’t care. I created a picture in my mind and will find ways to make it happen, with compromise. Prioritizing relates to time, after all. I have window blinds that will work until I can swing for the window treatments, and I have more than three months until the baby comes, so I can order the glider now. Think through the items on your list and how long it takes to get them versus when you’ll need them. Time usually translates into money. The more time, the more you can bargain shop, paint, sew and redo secondhand items. What about the space you’ve selected for the nursery? What don’t you like? Notice the amount of natural light. “Putting the crib in a spot with too much sun may wake your baby,” says Chuck DeLaney, editorial director of Designer Monthly, an online publication. Likewise, he says a streetlight may wake your baby. Do windows and air vents cause drafts? If so, move the crib away from that area. Lastly, what additional furniture will you need and where will you place it? Where will you change the baby’s diapers? Should the dresser be near the changing table? Some parents choose expensive beds that “grow” with their child. Starting as a crib, many convert to toddler- and then full-size beds. Although pricey, most justify cost in long-term value. Others, like me, prefer a simple crib that’s just as safe, but costs considerably less. Long-term value is in subsequent usage, should you have more children. Whatever your philosophy or preference, make sure it’s safe. Visit Web sites such as the Juvenile Products Manufacturers Association at jpma.org, the National SAFE KIDS Campaign at safekids.org or The Danny Foundation at dannyfoundation.org for all of the nursery safety facts you need. If you don’t have enough space or foresee using a changing table, save the money, or look for one at a spring yard sale and repaint it. Also, consider a dresser that doubles as a changing table – again, there’s long-term value in a piece like this, not to mention more storage than a simple changing table. Here’s the fun part! The nursery knows no creative boundaries. In addition to furniture, fabric, paint, wallpaper, window treatments and lighting, accessories are what will turn your room into a nursery. Color prompts inspiration. After deciding to leave my selected room’s walls a light green, I thought about a complement color and furniture. Because we don’t know the baby’s gender, I chose to create a unisex look. For furniture, I decided on simple white. The soothing green walls with bright, white trim just “spoke” white furniture. For a second color, lilac seemed just right yet I still needed something to make it all click. I like to rely on something to work around, whether it’s a rug, piece of fabric or a painting. I saved several Chuck Jones prints for such an opportunity. As the animator of Bugs Bunny, Road Runner and Daffy Duck, his pieces work best in a playroom or child’s room. So, I was pleasantly surprised to find Daffy Duck sporting colors of lilac and green, playfully posing as a jester. This time, it was Daffy Duck who “spoke” to me. The overall picture still wasn’t complete, so I called Deb Rosenbury and Genia Gilchrist at Gilchrist & Gilchrist, a Nashville boutique. Based on my colors, Deb and Genia showed up with an array of fabrics. “We love to start our inspiration with fabric,” says Rosenbury. “Whether it’s vintage or new, it can be the basis for wall color and all those darling necessities that make the room special,” she adds. Whether you find inspiration in fabrics, storybook themes, color schemes, a vintage piece of furniture, a photograph or even a particular hobby, it’s a start, and you’ll be surprised how far it takes you. The fabric and different textures we chose helped me finally visualize my child’s nursery. With a lilac, sage and yellow polka dot poplin and a complementing striped pattern in the same colors, we moved onto windows and bedding. Since the window in the room is the focal point, we saw an opportunity for a window treatment to make a statement and add color. It’s already made a statement with my husband, who is not happy with the estimate! Since fabric cost figures into the total, less fabric means less money. My compromise will be a valence minus the floor-length panels. Fabric can also be used for pillows, quilts (great as wall hangings), basket liners, dust ruffles, bumpers, sheets, blankets, hamper liners, lamp shades and diaper stackers. For additional accent and added comfort, consider a fun, colorful rug, especially on hardwood floors. Gilchrist and Rosenbury suggested painting the ceiling with a hint of lilac to create a cozy, unique atmosphere. And for the ultimate splash of color, there’s always a mural or fun paint techniques. Local artists specialize in everything from painting rooms or furniture to creating murals and they always have books of ideas for you to choose from. Murals typically range from $100 to $300, including consultation. In the ABCs of nursery decorating, “d” stands for detail. Found in little accessories such as lamps, mobiles and framed pictures, these items define and complete “baby land.” Get the most mileage out of fabrics, themes and color schemes. They should grow with your child – like a convertible crib. Changing out accessories instead of furniture and wallpaper is cost-effective. The only chance I can rationalize past this baby stage is my intuition that I’m having a girl. I don’t think a boy will appreciate polka dots. But then again, baby number two may. See, you can always rationalize! 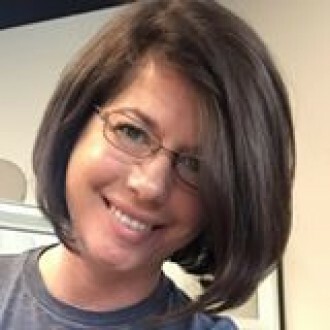 Stacie Stanley is a local freelance writer.